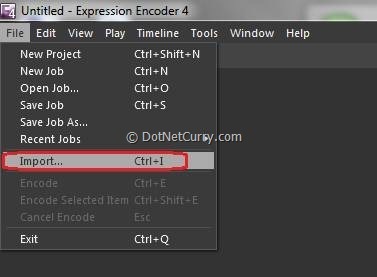 In this article we will see how to encode video files and add Markers and Thumbnails using Microsoft Expression Encoder 4.0. 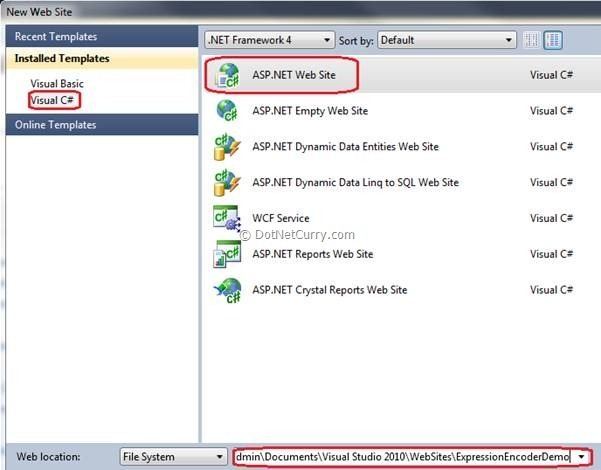 After encoding the media, we will use it an ASP.NET web site. 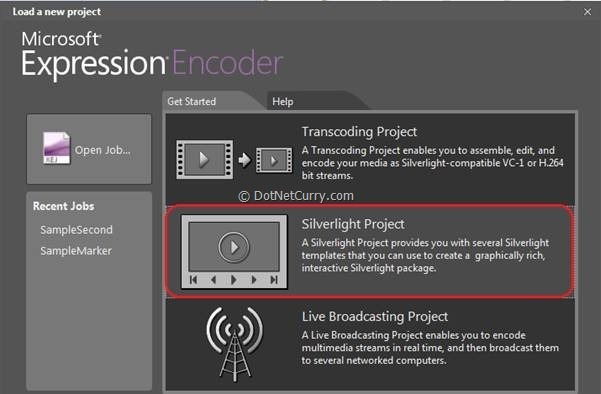 Microsoft Expression Encoder replaces Windows Media Encoder and simplifies publishing video to Microsoft Silverlight. 1) First Part is the Slider - Using this Slider, you can capture different frames of the video. 2) Second Part is highlighted with a yellow border – This is used for going to the Previous or Next Edit or Marker. You can go to Next or Previous frame or you can even Play/Pause the video. 3) Third part is highlighted with red borders – This is used to insert the video at the beginning or end of the main video. 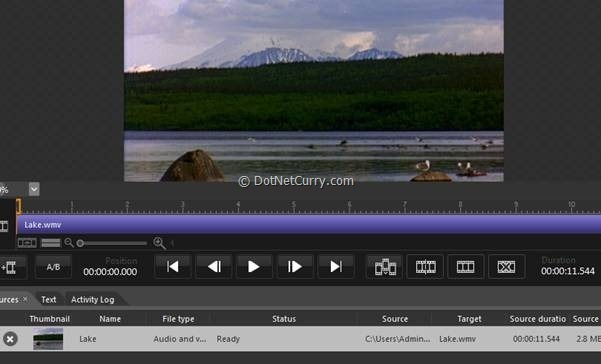 The Metadata window is used to add the markers with the Thumbnails and Output window is used to store the completed encoding with thumbnails. 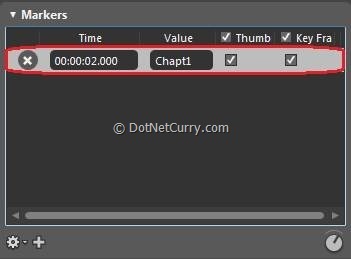 In the Output window, choose a Custom radio button to add custom thumbnails. 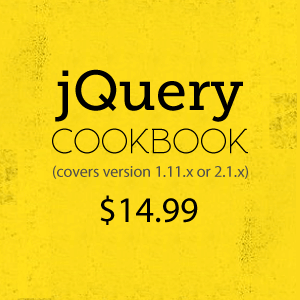 Also change the image format from jpeg to png and check the checkbox to Embed Thumbnail. Save your job. Now go to the location where the encoded video is available. The default path on my machine is 'C:\Users\Admin\Documents\Expression\Expression Encoder\Output'. Open the folder and you will see all the Thumbnails, Video, .XAP files and a html page 'Default.html'. Now let's copy all the files and go to our web site 'ExpressionEncoderDemo'. Add a new folder under the web site with the name 'EncoderDemo'. Paste all the files under that folder. 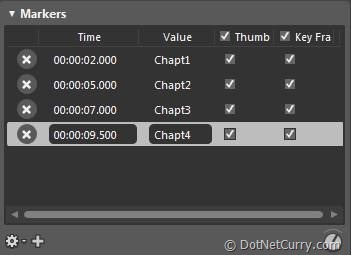 Now by selecting any of the chapters, you can play the video from that time interval. 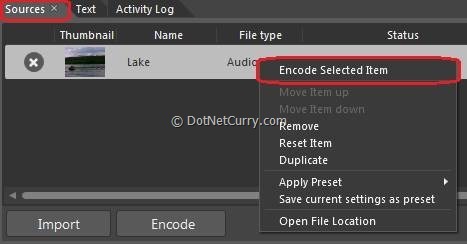 Summary - In this tutorial we have seen how to encode a video file, add markers and thumbnails using Microsoft Expression Encoder 4.0 and embed the same in our ASP.NET web site. 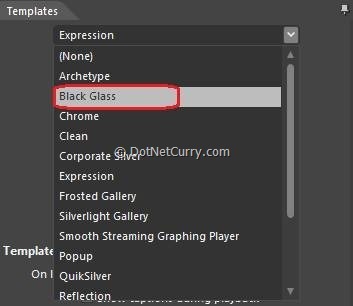 But it showing that the video can be downloaded easily, and i need to make it hidden that is why i am using the encoder, will you please help me to make the video hidden(that's mean cant download) and how to place in my asp.net website..